Composition: 85% New Zealand Wool, 15% Polyamide. Composition: 90% New Wool (worsted), 10% Nylon. Composition: 93% New Zealand Wool, 7% Polyamide. Eco-leather: Approx. 89% PVC-compound / Approx. 11% CO-knitted fabric. Eco-leather: Approx. 83% PVC-compound / Approx. 17% CO-knitted fabric. Composition: 89% New Zealand Wool, 11% Polyamide. Composition: 100% New Wool (worsted). Composition: 90% New Zealand Wool, 10% Polyamide. Full Grain European leather slightly buffed. Pigmented and natural smooth grain. Corrected grain leather slightly buffed. Pigmented and embossed. 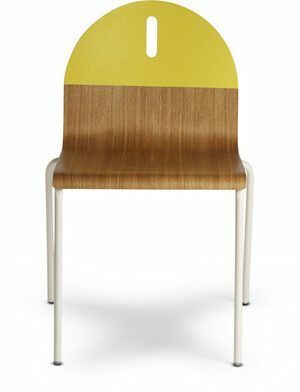 The LAIA chairs have a wide array of possible combinations when it comes to materials: the wooden legs can be finished in natural oak or stained and the seat can be in any of our fabrics or leathers. The back is always covered in felt.